At Pitmedden Flowers, we understand the importance of flower delivery which is why we offer several different deliveries for our customers to choose from. At Pitmedden Flowers we have our standard delivery service, our premium next day delivery service as well as our convenient same day flower delivery service. All of our delivery service operate during our opening hours of 9:00AM and 5:30PM. Our standard delivery service runs weekly every Monday to Saturday however we are able to make an exception and deliver on a Sunday for a larger scale occasion such as a wedding or funeral. Our premium next day delivery service ensures that everything is taken care of within the space of two days as you place your order the day before the delivery. Our same day flower delivery service is particularly handy for those occasions that have cropped up out of the blue, for those who are perhaps slightly more forgetful than others when it comes to occasions or simply for those who like to surprise a loved one with a stunning bouquet of flowers. Our same day flower delivery service allows you to place an order and have it delivered later on the same day which means that our Pitmedden Florists arrange your order within a very limited time frame. This means that, if you wish to use this particular delivery service, your order must be placed before 3PM. This is in order to give our Pitmedden Florists enough time to arrange your flowers with the care and attention the flowers deserve. We hope our delivery services on offer here at Pitmedden Flowers offer a degree of convenience for our customers as it means you do not need to collect and deliver the flowers yourself. We aim to take care of everything on your behalf so you don’t need to worry about about a single thing here at Pitmedden Flowers. The flowers we deliver here at Pitmedden Flowers are all of the best quality as they have all been cultivated and then directly imported to us from our suppliers all the way in Holland. Holland is a region of the Netherlands renowned for the good quality flowers cultivated there. Our Pitmedden Florists expertly arrange the most visually stunning bouquets and flower arrangements as they have over forty years of experience in the floristry field. You can have a browse through the already existing arrangements up on our website. Our Pitmedden Florists pour all of their expertise and passion into your bouquets by arranging perfectly balanced bouquets. Our Dutch cultivators provide our Pitmedden Florists with a huge variety of flowers - such as roses, delphiniums, gladioli, orchids amongst many others - which they arrange in a sea of lush greenery and filler flowers such as gyp. Once the body of the bouquet has been arranged, our Pitmedden Florists top off all bouquets with complimentary papers, tissues and ribbons. If you do not find anything that is fully to your tastes then do not worry as we offer our customers here at Pitmedden Flowers the bespoke service. The bespoke service allows our customers to work in collaboration with our Pitmedden Florists in order to create the perfect bouquet for your recipient. With the bespoke service, you can be rest assured that your recipient is bound to love their bouquet as it has been fully created with their personal tastes in mind. No matter how big or small your request may be, we at Pitmedden Flowers will do everything we can to ensure we fulfil all your floral wishes. Here at Huntly Flowers, we offer our customers several different flower delivery service to choose from which we hope are of convenience as it means you do not need to collect or deliver the flowers yourself. Our Huntly flower delivery service includes our standard weekly delivery, our premium next day flower delivery service as well as our same day delivery service. Our standard flower delivery service runs weekly every Monday to Saturday between the hours of 9:00AM and 5:30PM, which are our opening times. On occasion we do make an exception and deliver on Sundays for larger-scale events such as weddings and funerals. Our premium next day flower delivery services allows our customers to place an order the night before the delivery date so everything is taken care of in the space of two days. Our same day flower delivery service ensures everything is handled within the space of one day as it allows our customers to place an order and have it delivered later on the same day. This means that our Huntly Florists arrange everything on the day which is why, in order to take advantage of the same day flower delivery service, your order must be placed before 3PM to give our Huntly Florists enough time to take care of everything. We are unfortunately unable to do specific time deliveries as we have no control of elements such as traffic and the weather which directly impacts when our delivery drivers drop off orders however we do have our AM and PM deliveries. This simply means we are able to deliver before 1PM and then after 1:PM but asides from those two time frames, we do not want to make our customers promises we cannot possibly keep. When it comes to our deliveries, distance is also no problem for us as we are able to deliver internationally as we are part of the Interflora delivery network. Interflora is an organisation which affiliates us with 58000 other flower shops globally which means we not only deliver locally but we can also deliver nationwide all over the UK as well as abroad to over 140 different countries. No matter where your recipient may reside, we are able to ensure your gorgeous order of flowers is still delivered to your desired address in pristine condition. Our Huntly Florists are able to arrange gorgeous bouquets perfect for any and all occasions ranging from birthdays to anniversaries and congratulatory events all the way to larger scale occasions such as weddings and funerals. The flowers our Huntly Florists work with have been imported to us from our Dutch cultivators to ensure our flowers are of the best quality. Our Huntly Florists have plenty experience when it comes to your orders as they have been part of the floristry business for over forty years. They expertly weave together gorgeous flowers like roses, lilies and orchids into a bed of lush greenery and filler flowers to create a perfectly rounded bouquet body. Once the bouquet itself has been arranged, our Huntly Florists wrap your flowers in lovely papers, tissues and ribbons or alternatively, they place your flowers into a vase, box or even a cute teacup depending on what sort of finish you’re after. If you wish to add a more personal touch to your bouquet then you can add a personalised card message which will be written out in a charming little card. Our number one aim here at Huntly Flowers is to provide our customers with the best possible service which is why we have and will continue to go above and beyond when it comes to your orders. Our Peterculter Florists work with only the best flowers to create stunning bouquets perfect for any occasion ranging from birthdays to congratulatory events such as passing a driving test or an important exam all the way to work functions as well as larger scale occasions such as weddings and funerals and any other imaginable occasions. All of our flowers have been imported to us from our cultivators in Holland, a region in the Netherlands renowned for the premium quality of flowers grown there. Combined with up to four deliveries per week from our Dutch suppliers, not only are our flowers of the highest quality but they are also incredibly fresh with a high longevity so your loved one will be able to enjoy their gorgeous flowers for many days to come. Our Dutch cultivators provide our Peterculter Florists with a huge selection of flowers, all diverse in shape, size and colour, ranging from roses to gladioli and lilies as well as many others. Our Peterculter Florists expertly craft gorgeous bouquets that are a perfect balance of flowers, foliage such as eucalyptus leaves and filler flowers such as gyp. The bouquet body is perfectly rounded and topped off with complementary tissues, papers and ribbons. Alternatively, our Peterculter Florists can arrange your flowers into a lovely vase, box, a cute teacup or even a basket depending on what sort of finish you’re looking for. You can have a browse through the pre-existing arrangements our Peterculter Florists have already created up on our website however if nothing quite catches your eye, then don’t worry as we offer our customers the bespoke service. The bespoke service allows our customers to let their creativity run wild while at the same time creating a bouquet that your recipient will surely love as it has been fully tailored to their personal tastes. The bespoke service allows you to specify what flowers you would like to be featured in your arrangement, what flowers to avoid, colour preference, whether you want a hand-tied or a vase arrangement and so on. Once our Peterculter Florists have all the details, they would be more than happy to arrange a bouquet that reflects all of your ideas. No matter how big or small your request may be, we at Peterculter Flowers will always strive to fulfil all your floral needs. When it comes to delivering your gorgeous orders, distance is not a problem for us here at Peterculter Flowers. We at Peterculter Flowers are part of the Interflora delivery network which affiliates us with 58000 other flower shops worldwide. This means that we not only deliver locally around the Peterculter area but we also deliver nationwide to all the far corners of the UK as well as abroad to over 140 different countries internationally. So no matter where your recipient resides or if you are unable to be with your loved one during their special occasion, you can be rest assured that we will deliver you order to your desired location. The delivery drivers - both local and international - drive efficiently but carefully to ensure that your order aren’t damaged in the van and are presented to your recipient in perfect condition. You, our customer, are our number one priority which is why we at Peterculter Flowers aim to do everything we possibly can on your behalf so you don’t need to worry about a single thing. The flower arrangements and bouquets we deliver to our customers here at Newburgh Flowers are all of the best quality. All the flowers our Newburgh Florists work with are of the best quality as they have been imported directly to us from our cultivators all the way in Holland. Holland is a region of the Netherlands renowned for the premium quality of flowers cultivated there and combined with up to four deliveries per week, not only are our flowers the best but they are also the freshest. This means that your recipient will be able to enjoy their flowers for many days yet to come. Up on our website you can have a browse through the already existing arrangements our talented Newburgh Florists have arranged. Our Newburgh Florists create perfectly balanced bouquets which are composed of gorgeous flowers - flowers such as traditional roses, elegant lilies, exotic orchids and gladioli amongst many others - and lush greenery, such as pittos and eucalyptus leaves as well as fillers such as wax flowers and gyp. Once the body of the bouquet has been rounded in a dome-like shape, our Newburgh Florists wrap up all our bouquets in complementary papers, tissues and ribbons. If you have chosen a flower arrangement, which differs from a bouquet as it doesn’t come with a bubble of water, then our Newburgh Florists arrange your flowers into a gorgeous vase, box or even a cute teacup depending on what sort of finish you’re looking for. If none of the already existing arrangements quite catch your eye, don’t worry as we offer our customers here at Newburgh Flowers our bespoke service. The bespoke service allows you to work in collaboration with our Newburgh Florists in order to create a unique bouquet for your recipient. With the bespoke service, your recipient is bound to love their bouquet as it has been fully tailored to their tastes. No matter how big or small your request may be, we at Newburgh Flowers aim to do everything we can to fully satisfy our customers with our service. Once your actual flowers have been arranged, our customers at Newburgh Flowers have the choice to use one of our several delivery services. We hope that our delivery services here at Newburgh Flowers takes some of the pressure off you as it means you do not need to collect and deliver the flowers yourself. Here at Newburgh Flowers we have our standard flower delivery, our next day flower delivery as well as our same day flower delivery service. Our standard flower delivery service runs weekly every Monday to Saturday however we do sometimes make an exception and deliver on Sundays. We are able to deliver on Sundays for larger scale occasions such as weddings and funerals. Our next day flower delivery service ensures everything is taken care of in the space of two days as you are able to place an order the day before the delivery. Our same day flower delivery service is particularly handy for those occasions that have cropped up out of the blue as it allows you to place an order on the day of delivery. This means that our Newburgh Florists arrange your order in a restricted time period so, if you wish to use this delivery service, your order must be placed before 3PM. This is in order to give our Newburgh Florists enough time to arrange your flowers with the care and attention the flowers deserve. Our customers are our number one priority which is why we at Newburgh Flowers will do everything on your behalf once your order has been placed. 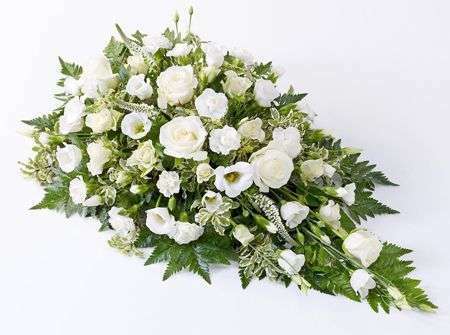 Our Westhill Florists are able to create gorgeous bouquets perfect for any occasion ranging from birthdays to congratulatory events such as passing a driving test all the way to new born baby events as well as larger scale occasions such as weddings. All of the flowers our Westhill Florists use have been cultivated and then directly imported to us all the way from our suppliers in Holland. Holland is a region of the Netherlands renowned for the premium quality flowers grown there. Combined with a possible four deliveries per week, not only are our flowers of the highest quality but they are also the freshest with a high longevity so your recipient will be able to enjoy their flowers for many days yet to come. Our Westhill Florists expertly weave together the perfect balance of actual flowers - such as roses, lilies, orchids, gladioli, delphinium and many more - and foliage such as eucalyptus leaves as well as filler flowers such as gyp and wax flowers. Our Westhill Florists create perfectly rounded bouquets which they wrap up in gorgeous papers, tissues and ribbons or alternatively, if you have ordered a flower arrangement, they can arrange your flowers in a vase, box or even a cute teacup. After your flowers have been expertly arranged, if you wish to have your flowers delivered, you are able to choose from one of our several flower delivery services. When it comes to our deliveries, distance is not an obstacle as we are part of the Interflora delivery network. This means we are able to deliver not only locally, but nationwide to all the far corners of the UK as well as abroad to over 140 different countries worldwide as, through Interflora, we are affiliated with 58000 flower shops globally. So no matter where your recipient resides, we want our customers to know that your flowers will be delivered to your desired location in pristine condition. At Westhill Flowers we have three main flower delivery services for our customers to choose from which includes our standard flower delivery service, our premium next day delivery service as well as our convenient same day flower delivery service. Our standard delivery runs weekly every Monday to Saturday between the hours of 9:00M and 5:30PM and the next day delivery service allows our customer place an order the night before the actual delivery. The same day flower delivery service is particularly handy for those occasions that have cropped up out of the blue or for those who like to spontaneously surprise loved ones with gorgeous bouquets as it allows you to place an order and have it delivered on the same day. If you wish to take advantage of this particular flower delivery service please note that your order must be placed before 3PM. This is in order to give our Westhill Florists enough time to arrange everything to the best of their standards. Once your flower delivery service has been chosen, our delivery drivers do their absolute best to make sure your flowers reach your recipient in immaculate condition by driving efficiently but carefully on the road in order to prevent any harm from befalling on your order. Our customers here are our number one priority which is why we at Westhill Flowers want you to know that once your order has been placed, we will take care of everything on your behalf so you don’t need to worry about a single thing. Here at Stonehaven Flowers we not only provide out customers with gorgeous bouquets and flower arrangements that are expertly arranged by our Stonehaven Florists but we can also arrange for a gift to either accompany your flowers or be delivered as a singular present. Our handy gifts range on offer here at Stonehaven Flowers includes a selection of delectable wines and champagnes all rich in taste; adorably cute and silky soft teddy bears; deliciously scrumptious chocolates which simply melt in your mouth; gorgeous smelling candles; fruit baskets that come in varying sizes, all full to the brim with delicious fruits as well as balloons. If requested by a customer, our talented Stonehaven Florists are able to arrange a charming balloon bouquet which is usually composed of three blank balloons and three balloons with a suitable message for your specific occasion such as “Happy Birthday!” or “Congratulations!”. These gifts, like our bouquets, are incredibly versatile and can be used for a number of different occasions such red wine to accompany a romantic dinner, a cute teddy bear to be give to a new born baby, a fruit basket as a congratulations, a gorgeous candle as a housewarming present, chocolates for a loved one with a sweet tooth as well as any other imaginable occasion or reason. When it comes to our deliveries, our delivery drivers here at Stonehaven Flowers do their absolute best to make sure your flowers and any gifts ordered from us reach your loved one in the pristine condition. They drive efficiently but with extra caution to prevent any damage from occurring to your order while it is in the van. Everyone here at Stonehaven Flowers do their absolute best to make sure the service we provide our customers is nothing short of perfection. Once your order has been placed and the flowers arranged by our talented Stonehaven Florists, our customers have the option to use one of our several flower delivery services which we hope can be of some use to our customers as it means you do not need to collect the flowers or deliver them yourself. At Stonehaven Flowers, our flower delivery services includes our standard weekly delivery service which runs every Monday to Saturday between 9:00AM and 5:30PM. We do sometimes make exceptions and deliver on Sundays for large-scale occasions such as weddings and funerals. Then we have our premium next day flower delivery service which means your order is delivered the day after your order has been placed as well as our handy same day flower delivery service. This convenient flower delivery service allows our customers to place an order and have it delivered later on the same day. This means that our Stonehaven Florists organise everything on the day of delivery which is why, if you wish to use this particular delivery service, your order must be placed before 3PM. This is in order to give our Stonehaven Florists enough time to arrange your flowers and gifts to our highest standard. This flower delivery service is particularly handy for those occasions that have cropped up suddenly out of the blue or for those who are more prone to forgetting occasions more so than others as everything is taken care of in one day. We want our customers to know that once your order has been placed, Stonehaven Flowers will take care of everything on your behalf. With over forty years of experience in the floristry industry under our belts, we at Bieldside Flowers understand that the delivery of your orders are just as important as the actual arrangement of your flowers which is why we offer our customers several different delivery services to choose from. Here at Bieldside Flowers we have our standard weekly flower delivery every Monday to Saturday, our next day flower delivery service as well as our same day flower delivery service. All these delivery services take place between 9:00AM and 5:30PM, in other words, our opening times. Our same day flower delivery service is particularly convenient as it allows our customers to place an order and have it delivered later on during the same day. This flower delivery service is particularly handy for those occasions that have cropped up out of the blue. As everything is taken care of in one day, this means that our Bieldside Florists arrange your order on the day so in order to take advantage of this flower delivery service, your order must be placed before 3PM. This is to give our Bieldside Florists enough time to arrange your flowers with the care and attention both you and the flowers deserve. When it comes to our deliveries we are unfortunately unable to guarantee specific time deliveries as we have no control over elements such as weather which can directly affect traffic and consequently what time your flowers are delivered however our customers can choose one of our two delivery time slots, also known as our AM and PM deliveries. We are able to deliver between 9:00AM and 1:00PM which would be our AM delivery. Alternatively, we can deliver between 1:00PM and 5:30PM, the PM delivery however we cannot guarantee times within those time slots as we are not able to guarantee times. Asides from the AM and PM deliveries, we do not offer any specific times for deliveries as we do not want to make false promises to our customers. Here at Bieldside Flowers we want nothing more other than to bring a smile your face which is why we aim to fulfil all your requests no matter how big or small they may be. Our Bieldside Florists not only arrange stunning bouquets for any an all occasions but they can also arrange for a gift to accompany your flowers as we have a Bieldside Flowers gifts range on offer here. Our Bieldside Flowers gifts range includes a selection of champagnes and wines all rich in taste; mouthwateringly delicious chocolates which simply melt in your mouth; cute and silky soft teddy bears; gorgeous smelling candles which are the perfect house warming gift; fruit baskets in varying sizes full to the brim with juicy and delicious fruits as well as balloons which, if requested by a customer, can be arranged into a charming balloon bouquet by one of our Bieldside Florists. Our balloon bouquets are usually composed of three plain balloons and three with a message fitting for your special occasion such as “Congratulations!”. We hope that our gifts range here at Bieldside Flowers can make your recipient feel that extra bit special and thought of. Our customers are our number on priority which is why our Bieldside Florists pour all of our experience and passion into your orders to ensure you receive a bouquet that is nothing short of perfection. 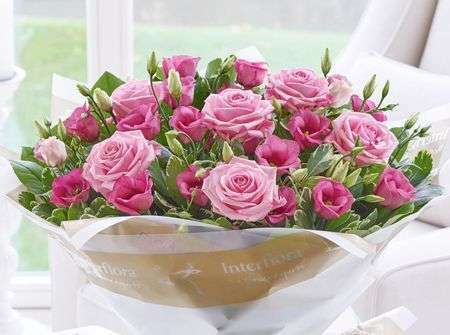 Here at Balmedie Flowers we cater for any and all occasions ranging from birthdays to anniversaries all the way to new born baby events as well as larger scales occasions such as weddings and everything else in between so no matter what you’re looking for, we have the perfect bouquet for you. The flowers our Balmedie Florists work with are of the best quality as they have been cultivated and then directly imported to us all the way from our cultivators in Holland. Holland is a region of the Netherlands renowned for the premium quality flowers cultivated there and with up to four deliveries per week from our Dutch suppliers, not only are our flowers of the best quality but they are also the freshest with a high longevity. Our Dutch cultivators provide up us with a huge variety of flowers ranging from traditional flowers such as roses and lilies all the way to more exotic flowers like orchids, gladioli and anthuriums as well as many others. Our Balmedie Florists skilfully craft a perfectly balanced and well-rounded bouquet which is composed of flowers as well as lush foliage and filler flowers like gyp and wax flowers. Up on our website, you can have a browse through the stunning bouquets and flower arrangements our Balmedie Florists have already arranged however if nothing quite catches your eye then do not worry as we offer our customers the bespoke service. The bespoke service allows our customers at Balmedie Flowers to tell our Balmedie Florists exactly what you want and then our Balmedie Florists would be more than happy to turn your design into a reality. Through the bespoke service you are able to specify what flowers to use, what flowers not to use, colour preferences, whether you want a bouquet or an arrangement and so on. The bespoke service ensures that your recipient is bound to love their bouquet as it has been tailored specifically to their tastes. If you wish to further personalise your flowers, we can arrange for a personalise card message to be nestled in the bouquet. No matter how big or small your request may be, we at Balmedie Flowers will do everything we can to fulfil it to the best of our ability. Once your stunning bouquet or flower arrangement has been crafted by our talented Balmedie Florists, our customers have the choice to use one of our several different flower delivery services. At Balmedie Flowers we have our standard weekly delivery Monday to Saturday, between the hours of 9:00AM and 5:30PM which are our opening times. Although we do not deliver on Sundays, we do sometimes make an exception and deliver for larger-scale occasions such as weddings and funerals. Our next day flower delivery service allows you to place an order the day before your order is meant to be delivered which means everything is taken care of within the space of two days. The same day flower delivery service is particularly convenient for those occasions that have cropped up suddenly as it allows you to place an order and have it delivered on the same day. This means our Balmedie Florists arrange the flowers on the day which is why, if you wish to use this flower delivery service, your order must be placed before 3PM to give our Balmedie Florists enough time. Our customers here at Balmedie Flowers are our number one priority which is why we have and will continue to do everything we possibly can to provide you with the best possible service. Here at Ellon Flowers we not only provide customers with gorgeous flower arrangements but our Ellon Florists are also able to arrange for a gift to be delivered to your recipient alongside your gorgeous bouquet. Our versatile Ellon Flowers gifts range includes mouthwateringly delicious chocolates which simply melt in your mouth; adorable teddy bears, a perfect gift for a new born baby boy or girl; gorgeous smelling candles ideal as a housewarming gift; a selection of delectable wines and champagnes all rich in taste which can be used as, for example, a gift at an anniversary or to accompany a dinner; fruit baskets heaving to the brim with juicy and fresh fruits as well as balloons. Our Ellon Florists are able to arrange balloons into charming balloon bouquets if you so wish it - these bouquets are usually composed of three blank balloons and three with a message fitting for your specific occasion. We hope that our gifts range here at Ellon Flowers will make your recipient feel that extra bit special and thought of. When it comes to our actual deliveries, we are able to deliver not only locally but nationwide all over the UK as well as abroad to over 140 different countries internationally through the Interflora delivery network. Interflora is an organisation that affiliates us with 58000 other flower shops globally so no matter where your recipient may reside, you can be rest assured in the knowledge that your order will be delivered to your desired address in pristine condition. We want our customers to know that we hold you as our number one priority which is why we want to take care of as much as we can on your behalf so you don’t have to worry about a single thing. When it comes to our deliveries, we try to offer our customers here at Ellon Flowers as much choice as possible so your order with us is as fuss-free as possible which is why we have several flower delivery options of you to choose from. We have our standard weekly delivery every Monday to Saturday between 9:00AM and 5:30PM, which are our opening times. We also offer our customers here at Ellon Flowers our premium next day flower delivery service which allows you to place an order the day before delivery as well as our convenient same day flower delivery which means you can place an order on the same day of delivery. This means that our Ellon Florists arrange your order on the day of delivery dispatch which means that in order to use this specific delivery service, your order must be placed before 3PM. This is to give our Ellon Florists enough time arrange your flowers with the care and attention both you and the flowers deserve. When it comes to our deliveries, we are unfortunately unable to guarantee specific time deliveries because we have no way of guaranteeing your flowers will be delivered by then because elements such as the weather and traffic directly affect our deliveries. However we do offer our customers our AM and PM deliveries. These deliveries ensure that your flowers will be delivered either between 9:00AM and 1:00PM, which is the AM delivery slot or between 1:00PM and 5:30PM, the PM delivery slot. Asides from those two time frames, we do not want to make false promises to our customers. Our only goal is, and has been for the last forty years we have been part of the floristry industry, is to provide our customers with the best service possible. Here at Banchory Flowers we can have your gorgeous flowers delivered on your behalf to whomever whether it be a loved one, a friend or colleague using one of our several handy delivery service. Here at Banchory Flowers we aim to take care of everything on your behalf once your order has been placed which is why try to make our flower delivery services as diverse as we can. At Banchory Flowers we have our standard delivery service every Monday to Saturday, our premium next day delivery service as well as our same day flower delivery service. Our standard flower delivery service runs between the hours of 9:00AM and 5:30PM every week. Although we do not deliver on Sundays, we are sometimes able to make an exception and deliver on Sundays for larger scale occasions such as wedding and funerals. Our premium next day delivery service allows our customers to place an order and have it delivered the next day so, for example, if you decide to wear a corsage to a dance last minute, we will be able to deliver your corsage the very next day. Our same day delivery service is particularly handy for those occasions that have cropped up suddenly out of the blue, for those who are perhaps more prone to forgetting occasions or simply those who like surprising loved ones with a stunning bouquet of flowers as it allows you to place an order and have it delivered on the same day. Please note that in order to use this delivery service, your order must be placed before 3PM to give our Banchory Florists enough time to arrange your flowers to the best of their ability. We hope that our flower delivery services here at Banchory Flowers offer our customers an added degree of convenience as you do not need to collect or deliver your flowers as we do everything for you. Our delivery drivers here at Banchory Flowers are incredibly efficient but careful on the road to avoid damaging the expertly crafted by our Banchory Florists to ensure your flowers aren’t damaged while they are being delivered. Our bouquets are arranged by our Banchory Florists who have over forty years of experience when it comes to flower arrangements so we can safely say that we know a thing or two when it comes to your orders. Our Banchory Florists work with only the best flowers which have been directly imported to us from our cultivators in Holland, a region of the Netherlands renowned for the premium quality flowers cultivated there. Our Banchory Florists beautifully arrange flowers - such as gorgeous roses, elegant lilies, lovely delphiniums and many others - in a sea of lush greenery, composed of leaves such as pittos and eucalyptus as well as fillers such as gyp and wax flowers to create a dome-like bouquet. Once the bouquet itself has been arranged, our Banchory Florists wrap the flowers up in complimentary papers, tissues and ribbons or alternatively, your flowers can be arranged in a vase, box or even a teacup depending on what sort of finish you’re looking for. Our number one priority is to provide our customers with only the best bouquets and the best service. Here at Kingswells Flowers we cater for any and all occasions by providing customers with gorgeous bouquets, lovely hand-ties and flower arrangements as well as gifts. Our Banchory Florists have over forty years of experience so they know a thing or two when it comes to you orders and pour all of their experience and passion for floristry into your bouquets. We only use the best flowers here at Kingswells Flowers which have been cultivated and then directly imported to us all the way from Holland. Combined with up to four deliveries per week, not only are our flowers of the best quality but they are also the freshest with a high longevity so your recipient will be able to enjoy their flowers for many days to come. You can have a browse through our website to see the gorgeous floral arrangements our Kingswells Florists have already arranged however if nothing quite catches your eye, don't worry as we offer our customers here at Kingswells Flowers the bespoke service. Our bespoke service allows you to tell our Kingswells Florists exactly what you want your bouquet to look like - in other words, what flowers they should use, what flowers to avoid, colour preference, where you want it to be a hand-tied or in a vase and so on - and our Kingswells Florists would be more than happy to create an arrangement that reflects your ideas. If you are unsure as to what sort of bouquet or arrangement you want, our Kingswells Florists would be more than happy to brainstorm some ideas with you so you are able to decide on a bouquet that is just perfect for your occasion. The bespoke service guarantee that your recipient will love their bouquet as it has been tailored specifically to their tastes. No matter how big or small your request may be, we at Kingswells Flowers will do everything we can fulfil all your floral wishes. Once your bouquet has been arranged, our customer have the choice to use one of our several flower delivery services here at Kingswells Flowers. We offer our customers our standard delivery service, our premium next day flower delivery service as well as our same day flower delivery service. Our standard flower delivery service runs weekly every Monday to Saturday however we do, on occasion, make an exception and deliver on Sundays for larger scale occasions such as weddings and funerals. Our premium next day flower delivery service allows customers to place an order the day before the delivery so everything is done within the space of two days. The same day flower delivery service here at Kingswells Flowers is particularly convenient for those occasions which have cropped up out of the blue as you are able to place an order and have it delivered on the same day. This means that our Kingswells Florists arrange everything on the day of delivery so, if you wish to use this particular delivery service, please note that your order must be placed before 3PM to give our Kingswells Florists enough time to organise everything to their best standard. When it comes to our deliveries, distance is also not a problem for us as we are part of the Interflora delivery network which means we are able to deliver not only locally but nationwide all over the UK as well as abroad to over 140 different countries worldwide as, through Interflora, we are affiliated with over 58000 other flower shops. So no matter where your recipient resides, your order will be delivered to your desired location in pristine condition. Our customers here at Kingswells Flowers are our number one priority which is why we do everything we possibly can to take care of everything on your behalf once your order has been placed. We at Portlethen Flowers understand that the delivery of your flowers is just as important as the actual arrangement of your flowers which is why we offer our customers several different delivery services to choose from which we hope can be of some convenience. We offer our customers our standard flower delivery service, our next day flower delivery as well as our handy same day flower delivery service. All of these delivery services are available during our opening time which is between 9:00AM and 5:30PM. Our standard flower delivery service runs weekly every Monday to Saturday whereas the next day service allows customers to place an order the day before the actual delivery is dispatched. This flower delivery service is handy for last minute occasions such as, for example, if you were to decide that you wanted a corsage for a wedding after all - all you would need to do is place an order the day before and it will be ready for the next day. Our same day flower delivery service is particularly convenient for those occasions that have cropped up out of the blue as you are able to place and order and have it delivered on the very same day. This means that our Portlethen Florists arrange your order on the day which is why, in order to use this particular delivery service, your order must be placed before 3PM to give out Portlethen Florists enough time to arrange your flowers with the care and attention they deserve. We hope that our delivery services offer some convenience to our customers as it means you do not need to collect and deliver the flowers yourself. We want our customers to know that once your order has been placed, the team at Portlethen Flowers will take care of everything on your behalf. Portlethen Flowers are proud to state that we are part of the Interflora delivery network. This is a global organisation which affiliates us with 58000 other flower shops located all over the world. This means that we are able to deliver your order not only locally around the Portlethen area but nationwide all over the UK as well as abroad to over 140 different countries worldwide. 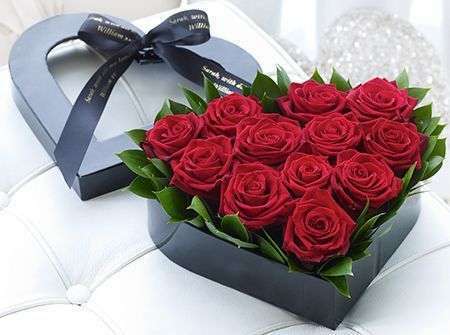 So even if you are unable to be with your recipient during their special occasion because of distance, we want to rest assure our customer at Portlethen Flowers that your flowers will be delivered in pristine condition to your desired location. Our delivery drivers - both local and international - do their absolute best to ensure your flowers are delivered in the best possible condition by driving efficiently but careful in order to prevent any damage from befalling on your order. Unfortunately, when it comes to our orders we are unable to guarantee specific time deliveries because we are unable to control elements such as traffic which has a direct correlation with how quickly or slowly we are able to deliver your orders. We do not wish to make our customers false promises however we do have our AM and PM deliveries. This simply means we can either deliver before 1PM, the AM time slot or after 1PM, the PM slot however asides from those two time frames, we do not guarantee timed deliveries. We here at Portlethen Flowers want nothing more other than to provide our customers with the best possible service. At Kintore Flowers we understand that the delivery of your orders is just as important as the arrangement of your flowers which is why we provide our customers here with several different delivery services to choose from. Our delivery services are quick and efficient which we hope are able to offer our customers at Kintore Flowers some convenience as it means you can place your order from the comfort of your home and not have to worry about a single thing. Here at Kintore Flowers we have three primary flower delivery services which include our standard flower delivery, premium next day flower delivery as well as our handy same day flower delivery. All of these flower delivery services are available between the hours of 9:00AM and 5:30PM, our opening times. Our standard flower delivery here at Kintore Flowers runs weekly every Monday to Saturday however we are sometimes able to make exceptions and deliver on Sundays for larger scale occasions such as weddings and funerals. Our premium next day delivery service allows you to place an order the day before the delivery meaning everything is arranged, organised and delivered within the space of two days. Our same day flower delivery here at Kintore Flowers is particularly handy for those occasions that have cropped up out of the blue or for those who are perhaps slightly more forgetful than others as it allows you to place the order on the same day of the actual delivery. This means that our Kintore Florists arrange your gorgeous bouquet or stunning flower arrangement within a short period of time which is why, if you wish to use this specific flower delivery service, your order must be placed before 3PM of that day. This is to give our Kintore Florists enough time to arrange your flowers with the care and attention they deserve. Our customers are our number one priority here at Kintore Flowers which is why we offer such a wide range of deliveries as we want your order to be with us as fuss-free as possible so you are able to focus on your loved ones and their special occasion. Not only do we offer several different flower delivery service options here at Kintore Flowers but we are also able to have your orders delivered to any address as we are part of the Interflora delivery network. Interflora is a global organisation which affiliates Kintore Flowers with 58000 other flower shops worldwide. This means not only are we able to deliver locally but we can also deliver nationwide to all the far corners of the UK as well as abroad to over 140 different countries. So no matter where your recipient may reside or if you are personally unable to attend their occasion for any reason, do not fret as we are still able to have your order delivered to your loved one in immaculate condition to your desired location. The delivery drivers - both local and international - do their absolute best to ensure your orders are delivered in pristine condition by driving efficiently yet carefully on the road to avoid damaging your orders while they are in the van. Everyone here at Kintore Flowers want nothing more other than to provide with the best possible service. Here at Newmachar Flowers we deliver the gorgeous bouquets and flower arrangements our Newmachar Florists have created. Only the best flowers are used in our arrangements as they have been cultivated and then directly imported to us all the way from Holland, a region in the Netherlands renowned for the premium quality flowers grown there. Combined with up to four deliveries from our Dutch suppliers, not only are our flowers of the best quality but they are also the freshest. This means they have a high longevity so your recipient will be able to enjoy their beautiful flowers for many days to come. Our Newmachar Florists expertly weave together a perfectly balanced bouquet body of flowers nestled in foliage, such as pittos leaves and filler flowers like gyp. Our Dutch cultivators provide our Newmachar Florists with a huge selection of flowers ranging from traditional roses to elegant lilies all the way to lovely delphiniums and exotic orchids as well as many others. Once the body of the bouquet has been arranged in a dome-like shape, our Newmachar Florists wrap up all bouquets in gorgeous papers, tissues and ribbons. Alternatively if you have ordered a flower arrangement, our Newmachar Florists can place your arrangement into a lovely vase, box, basket or teacup depending on what sort of finish you’re looking for. We have such a huge selection of bouquets on offer that we are positive no matter what you’re looking for, you will find it here with us at Newmachar Flowers. Up on our website you can have a browse through all of our products which have been expertly arranged by our Newmachar Florists however if there is nothing that fully catches your eye then don't worry as we offer our customers the bespoke service. Through the bespoke service, you are able to tell our Newmachar Florists exactly what you want and they would be more than happy to arrange a bouquet that incorporates all your specific requirements. No matter how big or small your request may be, we at Newmachar Flowers will do everything we can to fulfil all your floral wishes. Once your flowers have been expertly arranged by our Newmachar Florists, our customers have the choice to use one of our several flower delivery services. We understand the significance of a good delivery service as it is very important that your recipient receives a bouquet in pristine condition. Our delivery drivers are incredibly efficient yet careful on the road to ensure that no damage befalls your flowers while they are in the delivery van. We offer our customers here at Newmachar Flowers our standard flower delivery service which runs weekly every Monday to Saturday, our premium next day flower delivery as well as our same day flower delivery. Our same day flower delivery is particularly handy as it allows you to place an order and have it delivered later on the same day. This means that our Newmachar Florists arrange everything on the same day which is why, if you wish to use this particular flower delivery service, your order must be placed before 3PM. This is in order to give our Newmachar Florists enough time to arrange your order with the care and attention the flowers deserve. You, the customer, are our number one priority which is why we take care of everything on your behalf so you don’t need to worry about a single thing. Here at Belhelvie Flowers we offer our customers several different flower delivery services to choose from which includes our standard flower delivery, premium next day flower delivery as well as our same day flower delivery service. Our standard flower delivery service runs weekly every Monday to Saturday between the hours of 9:00AM and 5:30PM which are our opening times and also apply to our other deliveries. Our premium next day flower delivery allows our customers to place an order the day before the delivery meaning that everything is ordered, arranged and delivered within the space of two days. Our same day flower delivery service is particularly handy for those occasions that have cropped up suddenly as it allows you to place an order and have it delivered later on the same day. This means that our Belhelvie Florists have to work within a restricted time frame which is why, in order to use this flower delivery service, your order must be placed before 3PM to give them enough time to arrange everything to the best of their ability. Unfortunately when it comes to our delivery services, we do not guarantee specific time deliveries. This is because we do not want to make false promises to our customers as we don’t know when your orders will be delivered. For example, the traffic directly affects when your orders are delivered and we, unfortunately, have no control over traffic. However we do have our AM and PM delivery time slots. This simply means we are able to deliver either before 1PM, the AM delivery or after 1PM, the PM delivery. Asides from those two time frames, we do not want to make our customers promises we simply cannot keep. We hold our customers as our number one priority which is why we do everything we can to ensure your order with us is as fuss-free as humanly possible. Not only do we deliver gorgeous bouquets that have been arranged by our talented Belhelvie Florists, but we also have a handy gifts range on offer here at Belhelvie Flowers. Our gifts range includes a selection of delectable wines and champagnes which are perfect, for example, a romantic dinner or as a gift at an anniversary; silk soft teddy bears perfect for a new born baby event; delicious chocolates which simply melt in your mouth; gorgeous smelling candles perfect as a house warming gift; fruit baskets which come in a variety of sizes, full to the brim with fresh and juicy fruits as well as balloons. Our Belhelvie Florists are able to arrange balloon bouquets which are usually composed of three plain balloons and three with a fitting message for your specific occasion. These gifts are incredibly versatile and are suitable for any occasion ranging from an anniversary to birthdays and congratulatory events so no matter what you’re looking for, we are positive we have something fitting for your event. We hope these gifts are able to make your recipient feel extra special and thought of on their occasion. We want nothing more other than to provide you with the best possible service which is why no matter how big or small your request may be, we will do everything we can to fulfil all your floral wishes. We at Potterton Flowers are proud to state that we are part of the Interflora delivery network. Interflora is an international organisation which affiliates us at Potterton Flowers with 58000 other flower shops worldwide which means we are able to deliver globally. So no matter where your recipient may reside or if you are unable to attend the event personally for whatever reason, we are able to deliver locally, nationwide to all the far corners of the UK as well as abroad to over 140 different countries. The delivery drivers - both local and international - do their absolute best to ensure your order reaches it’s destination in pristine condition by driving efficient yet carefully on the road to avoid any damage from befalling your orders while they are in the delivery van. When it comes to our deliveries, we are unfortunately unable to guarantee specific time deliveries as we have no control over things such as traffic and the weather which directly affects when your flowers will be delivered. We do however have our AM and PM deliveries. This means we are able to deliver either before 1PM, in other words the AM time slot or after 1PM, the PM time slot. Within those two time frames, we cannot say what time the flowers will be delivered but we can ensure that your flowers can be delivered within those two time periods. Asides from our AM and PM deliveries, we do not wan to make false promises to our customers. We try to do everything we possibly can for our customers here at Potterton Flowers which is why we offer as many delivery services for our customers to choose from. We at Potterton Flowers understand that the delivery of your flowers is just as important as the actual arrangement of them which is why we offer several different flower delivery services. Our flower delivery services include our standard delivery service, our premium next day flower delivery service as well as our same day flower delivery service. Our standard flower delivery service runs every Monday to Saturday between our opening times of 9:00AM and 5:30PM. When it comes to our standard weekly delivery we are sometimes able to make an exception and deliver on a Sunday for larger-scale occasions such as weddings and funerals. Our next day delivery ensures that everything is taken care of within forty-eight hours as you are able to place an order the day before the actual delivery. Our same day flower delivery service is particularly handy, especially for those occasions that have cropped up out of the blue like a job promotion as it allows you to place an order and have it delivered later on the same day. In order to use this service your, please not your order must be placed before 3PM. This is to give our Potterton Florists enough time to arrange your flowers with the care and attention both you and the flowers deserve. Our customers are our number one priority here at Potterton Flowers so we want you to know that once your order has been placed, we take care of everything from the flowers to the safe delivery of your flowers so you need not worry about a single thing. Here at Kemnay Flowers, not only do we deliver gorgeous bouquets and flower arrangements but we are also able to deliver gifts from our gifts range. Like our bouquets, all of our gifts are suitable for any occasion ranging from anniversaries to birthdays and congratulatory events and any other imaginable occasion. Our versatile gifts range includes a selection of delectable wines and champagnes, the perfect accompaniment to a romantic dinner or as a git at any occasion such as a wedding anniversary; delicious chocolates which simply melt in your mouth, perfect for a loved one with a sweet tooth; adorable and silky soft teddy bears; gorgeous smelling candles, the ideal gift for a house warming; fruit baskets in a variety of sizes, full to the brim with fresh, juicy fruits as well as balloons. Our talented Kemnay Florists are able to arrange balloons into a balloon bouquet if you so wish it. Our balloon bouquets are usually composed of three plain balloons and three with a message fitting for your occasion such as “Happy Birthday” or “Congratulations!”. We hope that our gifts range can add a more personal touch to your order as you will be selecting a gift that your recipient will appreciate. If you wish to add a further personal touch to your order, our Kemnay Florists can attach a lovely card to your flowers with a personalised message written neatly inside. There is no need to worry about the delivery of your gift as it will be delivered alongside your flowers using one of our several delivery services. Our main goal here at Kemnay Flowers is to provide our customers with the best possible service by ensuring your order with us is nothing short of perfection. We at Kemnay Flowers are proud to state that we are part of the Interflora delivery network which affiliates us with 58000 other flower shops worldwide. This means that no matter where you want your flowers delivered, through Interflora we are able to make sure your order is delivered as we can deliver not only locally but nationwide all over the UK as well as abroad to over 140 different countries. No matter where you recipient may reside or if you are unable to attend the special event yourself for whatever reason, the delivery drivers - both local and international - always do their absolute best to ensure your order arrives in pristine condition to your desired location. The delivery drivers are always efficient yet careful on the road to make sure that your flowers aren’t damaged in the delivery van. When it comes to your deliveries, we are unfortunately unable to guarantee specific times. We have no control over elements such as the weather or traffic which directly affects the time of your delivery however we do have our AM and PM deliveries. This simply means we can deliver either before 1PM, the AM time slot or after 1PM, the PM time slot but asides from those two time frames, we don’t want to make our customers false promises we can’t keep. Once your order has been placed here at Kemnay Flowers, we want our customers to know we take care of everything on your behalf so you don’t need to worry about a single thing are able to focus on your loved one and their special occasion. The flowers our Oldmeldrum Florists work with have been cultivated and then directly imported to us all the way from our suppliers in Holland, a region of the Netherlands renowned for the premium quality of flowers grown there. Combined with up to four deliveries per week, not only are our flowers of the highest quality but they are also the freshest with a high longevity. A high longevity means that your recipient will be able to enjoy their flowers for many days yet to come. Our Dutch suppliers provide our Oldmeldrum Florists with a huge variety of flowers, foliage and filler flowers which they expertly weave together to create visually stunning bouquets and flower arrangements. You can have a browse through our website to see the arrangements our Oldmeldrum Florists have already created. The flowers - such as gorgeous roses, elegant lilies, exotic gladioli and many others - are placed carefully in a sea of lush foliage, such as pittos and eucalyptus leaves as well as fillers such as gyp and wax flowers. Once the body of the bouquet has been perfectly rounded in a dome-like shape, our Oldmeldrum Florists wrap up your bouquet in complementary papers, tissues and ribbons to further highlight the vibrancy of the flowers. if there is nothing up on our website that fully satisfies you then do not worry as we offer our customers here at Oldmeldrum Flowers the bespoke service. The bespoke service allows you to specify exactly what you want - for example, what flowers to use and which to avoid, colour preferences and so on - and then out Oldmeldrum Florists would be more than happy to create something that fits your personal criteria. The bespoke service ensures that your recipient is bound to love their flowers as they have been fully tailored to their specific tastes. No matter how big or small your request may be, we at Oldmeldrum Flowers always do our absolute best to make sure you receive a bouquet that fulfils all your requirements and is worthy of your recipient. We at Oldmeldrum Flowers are proud to state that we are part of the Interflora delivery network. Interflora is an international organisation that affiliates our shop with 58000 other flower shops from around the globe. This means that not only are we able to deliver locally but we can also deliver nationwide to all the far corners of the UK as well as abroad to over 140 different countries worldwide. So no matter where your recipient may reside, our delivery drivers - both local and international - will deliver your flowers in pristine condition to your desired address. The delivery drivers always do their absolute best to ensure your flowers arrive in immaculate condition by driving efficiently yet carefully on the road to prevent any damage from occurring to your order while it is in the delivery van. When it comes to your deliveries, we are unfortunately unable to guarantee specific time deliveries as we can’t control elements such as traffic which directly affects when your orders are delivered however we do have our AM and PM deliveries. This simply means we are able to deliver either before 1PM - which is the AM time slot - or after 1PM - the PM time slot. Asides from those two time frames, we do not want to make promises to our customers that we cannot possibly keep. Our number one priority here at Oldmeldrum Flowers is to provide you, our customer, with the best possible service which is why we will always go above and beyond when it comes to your orders. Our Milltimber Florists arrange gorgeous bouquets and flower arrangements for any occasion ranging from birthdays to anniversaries all the way to congratulatory events as well as larger scale occasions such as wedding and funerals. All of our flowers have all be cultivated and then directly imported to us all the way from Holland, a region of the Netherlands renowned for the premium quality of flowers grown there. Our Dutch suppliers provide our Milltimber Florists with a huge selection of flowers which in turn enables them to arrange a huge variety of bouquets. Up on our website, you are able to browse through the arrangements our Milltimber Florists have already arranged. Once your desired bouquet or flower arrangement has been selected, we at Milltimber Flowers offer our customers several different delivery services to choose from. Here at Milltimber Flowers we have three primary delivery services in particular which are our standard flower delivery service, our next day flower delivery service as well as our same day flower delivery service. Our standard flower delivery service runs weekly every Monday to Saturday between the hours of 9:00AM and 5:30PM, our opening hours. We are sometimes able to make an exception and deliver on a Sunday for a larger scale occasion such as a wedding. Our premium next day flower delivery service allows you to place an order the day before the actual delivery so everything is taken care of within the space of two days. Our same day flower delivery service is particularly handy for those occasions that have cropped up out of the blue as you place your order and it will be delivered later on the same day. This means that our Milltimber Florists arrange your order on the same day which is why, if you wish to take advantage of this particular flower delivery service, your order must be placed before 3PM. This is in order to give our Milltimber Florists enough time to arrange your flowers with the care and attention they deserve. Our Milltimber Flower Delivery services were tailored with the needs of our customers in mind which is why we hope that our delivery services are able to ensure your order with us is as fuss-free as possible. Not only do our Milltimber Florists arrange gorgeous bouquets but they can also arrange for a gift to accompany your order. We have a versatile gifts range on offer here at Milltimber Flowers which, like our bouquets, are suitable for any and all occasions. 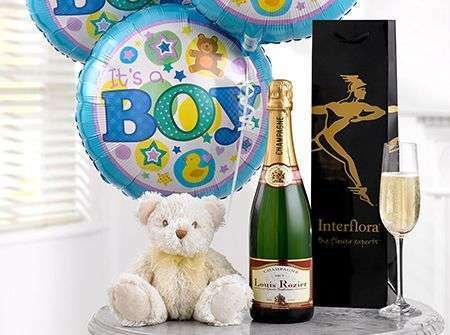 Our Milltimber Flowers gift range includes a selection of delectable wines and champagnes; scrumptious chocolates which simply melt in your mouth; adorable and silky soft teddy bears; gorgeous smelling candles; fruit baskets in all sizes full to the brim with delicious chocolates as well as balloons. Our Milltimber Florists are able to arrange balloon bouquets which are usually composed of three blank balloons and three with a fitting message for your specific occasion such as “Congratulations!”. We hope that our gifts are able to make your recipient feel that extra bit special and thought of on their special day. Our main priority here at Milltimber Flowers are our customers. This is why we want to provide our customers with the best possible service so we will always go above and beyond when it comes to your orders. We at Cruden Bay Flowers are part of the Interflora delivery network which means that we are affiliated with 58000 flower shops worldwide. This means that we not only deliver locally in the Cruden Bay area but nationwide to all the far corners of the UK as well as abroad to over 140 different countries internationally. If you are unable to be with your recipient on their occasion or if your loved one lives abroad, do not worry as we at Cruden Bay Flowers will make sure your flowers are delivered in pristine condition to your desired location. The delivery drivers - both local and international - understand the importance of your orders which is why they drive efficiently but with extreme caution to ensure your orders aren’t damaged in their delivery vans. When it comes to our deliveries here at Cruden Bay Flowers, we are unfortunately unable to guarantee specific time deliveries as we cannot control elements such as traffic and the weather which directly affects when your orders are delivered. However, we are able to offer our customers AM and PM deliveries which simply means we can deliver before 1PM - the AM time slot - or after 1PM, the PM time slot. Asides from those two time frames we are unfortunately unable to guarantee specific times as we do not want to make you a promise we have no way of actually keeping. We not only deliver bouquets here at Cruden Bay Flowers but we can also arrange for a gift to be delivered alongside your flowers. Our Cruden Bay Flowers gift range includes a selection of delectable wines and champagnes; adorable teddy bears; mouth-wateringly scrumptious chocolates which simply melt in your mouth; gorgeous smelling candles perfect as a house warming gift; fruit baskets in varying sizes, full to the brim with fresh and juicy fruits as well as balloons. Our Cruden Bay Florists are able to arrange charming balloon bouquets which usually consist of three blank balloons and three with a message fitting for your specific occasion. At Cruden Bay Flowers, we want to provide our customers with the best possible service as you, our customer, are our number one priority. Our Cruden Bay Flowers arrange visually stunning bouquets which are composed of only the best flowers which have been directly imported to us all the way from our suppliers all the way in Holland. Holland is a region of the Netherlands renowned for the premium quality flowers cultivated there. Combined with up to four deliveries per week, not only are our flowers of the highest standard but they are also the freshest with a high longevity so your recipient will be able to enjoy their bouquet for many more days to come. Up on our website you can have a browse through the bouquets and flower arrangements our Cruden Bay Florists have already crafted. As our Dutch suppliers provide us with such a huge selection of flowers, our Cruden Bay Florists are able to arrange a diverse range of different floral designs. Our Cruden Bay Florists expertly weave together the perfect balance of flowers and foliage, such as pittos and eucalyptus leaves and fillers like gyp and wax flowers. Once the body of the bouquet has been perfectly rounded, our Cruden Bay Florists wrap up all bouquets in complementary papers, tissues and ribbons or alternatively, if you have chosen a flower arrangement, they place your flowers into with a vase or box or even a cute teacup depending on what sort of finish you’re looking for. No matter how big or small your request may be, we at Cruden Bay Flowers will do our absolute best to fulfil all your floral wishes. Our Methlick Florists work with only the best flowers when it comes to arranging your orders. All of our flowers have been cultivated and directly imported to us all the way from our suppliers in Holland. Holland, a region of the Netherlands, is widely acknowledged for the cultivation of premium quality flowers and combined with up to four deliveries per week from our Dutch cultivators, our flowers are also the freshest with a high longevity. This means your recipient will be able to enjoy their flowers for many days yet to come. Our Methlick Florists have over forty years of experience under their belts and they use every ounce of this expertise and passion when it comes to arranging your orders. They craft perfectly balanced bouquet bodies by arranging flowers - such as roses, orchids, lilies, delphiniums amongst many others - amidst a lush bed of greenery and filler flowers, like gyp. Once the body of the bouquet has been arranged, our Methlick Florists wrap up all of our bouquets in gorgeous papers, tissues and ribbons. Alternatively, if you have ordered a flower arrangement - which differs from a bouquet as it does not come with a cellophane bubble of water - then our Methlick Florists arrange your flowers in either a vase, box or even a cute teacup depending on what it is you’re looking for. Up on our website, you have the chance to browse through the pre-existing bouquets our Methlick Florists have already arranged however if nothing quite catches your eye then don’t worry as we offer our customers the bespoke service. The bespoke service allows you to design a bouquet which our Methlick Florists would be more than happy to turn into a reality. For example, using the bespoke service you can specify what flowers you don’t want in the bouquet or any colour preference so when it comes to the actual arrangement of your flowers, our Methlick Florists know exactly what it is you want. The bespoke service ensures that your recipient is bound to love their bouquet as it has been specifically tailored with their personal taste in mind. No matter how big or small your request may be, our Methlick Florists always do everything they can to provide you with the best possible bouquets. Once your flowers have been arranged, our customers here at Methlick Flowers have the option to use one of our several flower delivery services which we hope can be of benefit if you are unable to collect the flowers yourself or wish for it to be a surprise. Here at Methlick Flowers we have our standard flower delivery service, our premium next day flower delivery service as well as our same day flower delivery service. Our standard flower delivery service runs weekly every Monday to Saturday however we are sometimes able to make an exception and deliver on a Sunday for a larger scale occasion such as a wedding. Our next day flower delivery service allows you to place an order and have it delivered the very next day which means that everything is taken care within the space of two days. The same day flower delivery service is particularly handy for those occasions that have cropped up out of the blue as it allows you to place an order and have it delivered later on the same day. This means that our Methlick Florists work within a limited time frame which is why, if you wish to use this particular delivery service, your order must be placed before 3PM. This is to give our Methlick Florists enough time to arrange your flowers to the best standard. We at Methlick Flowers want nothing more other than to provide you with the best possible service which is why, once your order has been placed, we take care of everything so you don’t have to worry about a single thing. The flowers our Tarves Florists use here are some of the best quality flowers available to the UK as they have all been cultivated and then directly imported to our doorstep from our suppliers in Holland. Holland is a region of the Netherlands which is well-known for the premium quality of flowers grown and with up to four deliveries per week, not only are our flowers the best but they are also the freshest. When flowers have a high longevity, this means that your recipients will be able to enjoy their gorgeous flowers for many days to come. Our Dutch cultivators supply our Tarves Florists with a huge selection of flowers ranging from roses in all colours to elegant lilies which are perfect for any occasion all the way to exotic orchids and gladioli as well as many, many others. Here at Tarves Flowers, we are able to cater for any occasion from birthdays to anniversaries all the way to congratulatory events such as receiving a job promotion which means that our Tarves Florists are incredibly versatile when it comes to floral arrangements and are able to create the perfect bouquet no matter what the occasion is. Our Tarves Florists expertly craft together flowers with foliage and filler flowers to create perfectly balanced and shaped bouquet bodies. Once the flowers themselves have been arranged, our Tarves Florists finish off all arrangements with complementary tissues, papers and ribbons. Alternatively, if you have ordered an arrangement - which differs from a bouquet as an arrangement is placed in a vase whereas a bouquet has a bubble of water - our Tarves Florists will place your flowers in a lovely vase, box or even a cute teacup depending on what sort of finish you’re looking for. Our Tarves Florists want nothing more other than to provide you, our number one priority, with the most dazzling bouquets and flower arrangements so you are able to bring a smile to your recipient’s face. Once your flowers have been expertly arranged, our customers are able to use one of our handy flower delivery Tarves services. We at Tarves Flowers offer our standard flower delivery which runs weekly every Monday to Saturday, between the hours of 9:00AM and 5:30PM, our opening times. Then we have our premium next day flower delivery service which allows our customers to place an order the day before the actual delivery so everything will be taken care for you within the space of two days. We also have our same day flower delivery service which is particularly handy for those occasions that have cropped up out of the blue or for those who simply like to surprise loved one with a lovely bouquet every now and again. To use the same day flower delivery service, you simply place your order on the day of the actual delivery. This means that our Tarves Florists organise your order in a very limited time period which is why if you wish to use this particular flower delivery service, your order must be placed before 3PM. This is to give our Tarves Florists enough time to arrange your flowers with the care and attention both you and the flowers deserve. We want our customers here at Tarves Flowers to know that once your order has been placed, we will take care of everything on your behalf so you don’t have to worry about a single thing and are able to focus on your loved one and their special occasion. At Turriff Flowers, we understand the importance of a good flower delivery service which is why we offer our customers several flower delivery services to choose from. Here at Turriff Flowers, we have three particular flower delivery services we offer our customers which have proven to be beneficial as it means there is no need for you to collect and deliver the flowers yourself. We have our standard flower delivery service which runs weekly every Monday to Saturday. On occasion, we at Turriff Flowers are able to make an exception and deliver on a Sunday for a larger scale event such as a wedding or a funeral. We also have our premium next day flower delivery Tarves which allows our customers to place an order the day before and have it delivered. This flower delivery service is particularly handy for a sudden change of mind - for example, if you decide that you would like a corsage, our Turriff Florists are more than able to create a gorgeous little corsage for you to have delivered the next day. Our premium next day flower delivery service allows everything to be taken care of within the space of two days. Finally, we also have our same day flower delivery service. This service is ideal for those occasions which have cropped up out of the blue as it allows you to place an order and have it delivered on the very same day. If you wish to use this particular flower delivery service, please note that your order must be placed before 3PM as otherwise, we are unable to offer the same day flower delivery service. Your orders for this flower delivery service must be placed before 3PM in order to give our Turriff Florists enough time to organise everything to the best of their ability. Here at Turriff Flowers, we aim to take care of everything on your behalf so you don’t need to worry about a single thing. At Turriff Flowers, we are proud to be able to say that we are part of the Interflora delivery network. Interflora is an international organisation which affiliates Turriff Flowers with 58000 other flower shops worldwide. This means that not only are we able to deliver locally but we can also have your orders delivered nationwide all over the UK as well as abroad to over 140 different countries. So no matter where your recipient may reside or if you are unable to be with them on their special occasion, we want you to know that your flowers will still be delivered in pristine condition to your desired address. The composition of the bouquets and flower arrangements is very important however if they are then damaged during the delivery, the work of our Turriff Florists has been wasted and your recipient will receive a bouquet not worthy of them. Our delivery drivers - both local and international - are incredibly efficient yet cautious on the road to ensure no damage occurs to your orders while they are on the road. At Turriff Flowers, we want nothing more other than to provide our customers with the best possible service which is why we aim to go above and beyond the standard requirements of a florist shop and provide you with the best possible service. Fyvie Flower DeliveryOur Fyvie Florists are able to create gorgeous bouquets and flower arrangements perfect for any and all occasions ranging from birthdays to new born baby events all the way to congratulatory events such as passing a driving test as well as larger scale occasions such as weddings and any other imaginable event. The flowers our Fyvie Florists work with have all be cultivated and then directly imported to us all the way from Holland. Holland is a region in the Netherlands renowned for the premium quality flowers grown there which means that all of our flowers are also of premium quality. Combined with up to four deliveries per week, not only are our flowers of the best quality but they are also the freshest with a high longevity. A high longevity means that your recipient will be able to enjoy their flowers for many days to come. Our Dutch cultivators provide Fyvie Flowers with a massive selection of gorgeous flowers ranging from traditional roses to lovely delphiniums all the way to exotic orchids and many others. Our Fyvie Florists weave these gorgeous flowers into a lush sea of foliage, which includes leaves such as eucalyptus and pittos, and filler flowers such as gyp. With over forty years of experience under their belts, our Fyvie Florists easily arrange perfectly rounded bouquets which they finish off with complementary papers, tissues and ribbons. Additionally, not only do our talented Fyvie Florists create gorgeous bouquets but they can also arrange for a gift to accompany your flowers if you wish to add a final finishing touch to your order. 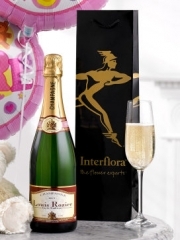 Here at Fyvie Flowers we have a handy gifts range which includes a selection of delectable wines and champagnes all rich in taste; chocolates which simply melt in your mouth; adorable and soft teddy bears; gorgeous smelling candles; fruit baskets in different sizes full to the brim with fresh fruits as well as balloons. Our Fyvie Florists are able to arrange these balloons into charming balloon bouquets which usually compose of three blank balloons and three with a fitting message for your occasion. No matter how big or small your request may be, we will always try to fulfil all your floral wishes. Once your order has been expertly arranged by our Fyvie Florists, all of our customers have the option to use one of our several flower delivery services. Here at Fyvie Flowers, we have three primary flower delivery services for our customers to choose from which includes our standard weekly flower delivery, our premium next day flower delivery service as well as our handy same day flower delivery service. Our weekly flower delivery runs every Monday to Saturday during our opening time of 9:00AM to 5:30PM. Our premium next day flower delivery allows you to place an order the day before the actual delivery which means everything is taken care of within the space of two days. Our next day flower delivery service is particularly convenient for those occasions that have cropped up suddenly as your order is delivered on the same day it is placed. This means that our Fyvie Florists organise everything on your behalf within a very short and limited time period so, if you wish to take advantage of this particular delivery service, your order must be placed before 3PM. This is in order to give our Fyvie Florists enough time to organise everything to their best ability for you. Here at Fyvie Flowers, we want nothing more other than to provide our customers with the best possible service which is why we always go above and beyond when it comes to your orders. At Strichen Flowers, not only do our Strichen Florists arrange visually stunning bouquets but they can also organise for a gift to be delivered alongside your gorgeous flowers from our Strichen Flowers gifts range. Like our floral designs, our gifts are incredibly versatile and suitable for a number of occasions ranging from birthdays to congratulatory events such as passing an important exam all the way to new born baby events as well as larger scale occasions such as weddings and any other imaginable event. Our gifts range includes a selection of wines - we stock rose, white and red wines as well as others - and champagnes which are the perfect celebratory drink. Wines and champagnes can be used to accompany a romantic meal on Valentine’s Day or to give as a gift at an anniversary or for a work function as well as a number of other occasions. Our gifts range also includes a selection of adorable and silky soft teddy bears which are the perfect gift for a new born baby event; scrumptious chocolates which simply melt in your mouth, the perfect gift for a loved one with a sweet tooth; gorgeous smelling candles; fruit baskets in varying sizes full to the brim with juicy and fresh fruits which our Strichen Florists arrange. Our Strichen Florists can also arrange charming balloon bouquets which are usually composed of three blank balloons and three balloons with a message fitting for your special occasion such as “Congratulations!”. We hope that these gifts are able to make your recipient feel that extra bit special and thought of on their special occasion as the gift or gifts chosen will be something that they like. Here at Strichen Flowers, we aim to go above and beyond the standard requirements of a florist which is why we want to provide our customers with as many services as possible so your order with us is as fuss-free as possible. We will deliver your gifts alongside your flowers so you need not worry about the delivery. Here at Strichen Flowers, we offer our customers several different flower delivery services to choose from which include our standard flower delivery service, our premiums next day flower delivery service as well as our same day flower delivery service. Our standard flower delivery service runs weekly every Monday to Saturday however we do, on occasion, make an exception and deliver on Sundays. These exceptions are usually made for larger scale occasions such as weddings and funerals. Our next day flower delivery allows our customers to place their order the day before the delivery which means everything is taken care of within the space of two days. Our same day flower delivery is particularly handy for those occasions that have cropped up suddenly as it allows you to place an order and have it delivered later on the same day. This means that our Strichen Florists arrange everything - flowers and gifts alike - for you within a very limited time frame which is why, if you wish to use this particular flower delivery scheme, you must ensure your order is placed before 3PM. This is to give our Strichen Florists enough time to arrange your flowers to the best of their standards. Here at Strichen Flowers, we want nothing more other than to provide you with a service that is nothing short of perfection. Here at Gardenstown Flowers, we appreciate the importance of a good delivery service as it impacts the condition of the flowers your recipient receives which is why we offer our customers several different flower delivery services to choose from. At Gardenstown Flowers we have three primary delivery services to choose from which includes our standard flower delivery service, our next day flower delivery service as well as our same day flower delivery service. All of our deliveries are available between the hours of 9:00AM and 5:30PM which are our opening times. Our standard flower delivery runs weekly every Monday to Saturday however we are sometimes able to make an exception and deliver on a Sunday for larger scale occasions such as weddings or funerals. Our next day flower delivery service allows you to place an order and have it delivered the very next day. This flower delivery service is particularly handy for last-minute decisions so, for example, if you decide you would like a corsage as a finishing touch then you can place your order the day before and it’ll be ready for delivery the very next day. Finally, our same day flower delivery is particularly handy for those occasions which have cropped up suddenly, for those who are perhaps slightly more forgetful when it comes to remembering dates and occasions or simply for those who like to spontaneously surprise loved ones with a stunning bouquet. This delivery service allows you to place an order and have it delivered on the same day which means that the team here at Gardenstown Flowers organise your order within a very limited time period. This means that, if you wish to use this particular delivery service, your order must be placed before 3PM to give our Gardenstown Florists enough time to arrange your flowers with the attention and care the flowers deserve. Our number one priority here at Gardenstown Flowers is to provide our customers with the best possible service which is why we want to provide as many delivery options so you are able to select one that is best fitting to your situation. We are proud to state that Gardenstown Flowers are part of the Interflora delivery network. Interflora is an international organisation which affiliates us at Gardenstown Flowers with 58000 other flower shops worldwide. This means that not only are we able to deliver locally but we can also make sure your orders are delivered on a national scale all over the UK as well as abroad to over 140 different counties worldwide. So no matter where your recipient resides, we want our customers to know that your orders will be delivered in immaculate condition to your desired address. The delivery drivers - both local and international alike - are incredibly efficient but careful on the road to ensure that no damage occurs to your orders while they are in delivery van so your recipient receives flowers that are in perfect condition. When it comes to our deliveries, we are unfortunately unable to guarantee specific time deliveries as we have no control over elements such as traffic which directly impacts when your orders are delivered however we do offer our customers our AM and PM deliveries. This simply means we can deliver before 1PM - which is the AM time slot - or after 1PM which is the PM slot however asides from those two time frames, we do not want to make our customers false promises that we have no way of keeping. We at Gardenstown Flowers we want our customers to know that once your order has been placed, we take care of everything on your behalf so you don’t need to worry about a single thing. Here at Flowers Aberdeen our flowers make great gifts for all occasions, our bouquets and arrangements are sure to delight your recipient. 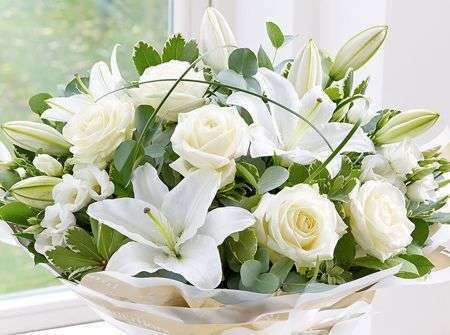 However we also know that sometimes Florists Aberdeen flowers alone are simply not enough to covey your feelings. That’s why at Flowers Aberdeen we have a fantastic selection of small presents, which are excellent for accompanying your flowers. We have delicious chocolates, adorable teddy bears, balloons for all occasions, and, for the more sophisticated tastes, a selection of wines and champagnes. We really do have something for everyone and our small gifts are all the high quality you expect from Florists Aberdeen. We have a massive variety of floral arrangements, we have flowers for all occasions, we have flowers for saying thank you, saying congratulations, wishing someone a get well soon, and we have flowers for birthdays and anniversaries. Whatever your occasion, there will be a bouquet or arrangement from Florists Aberdeen that will suit you. All our flowers can be found on our Flower Delivery Aberdeen website, if you feel that nothing we have is exactly what you were looking for then you can make use of our Florists Aberdeen bespoke service. With our bespoke service you have complete control over your bouquet. 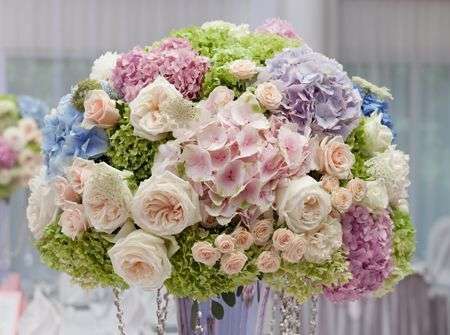 You can choose the types of flowers, the number of flowers, the colours of the flowers. Whatever you want in your bespoke bouquet, we can do it! Your bespoke bouquet from Flowers Aberdeen will make a great and completely unique gift for your recipient. Florists Aberdeen is a successful, thriving business with over 40 years of experience. We know all there is to know about the flower business and we are dedicated to giving you the best flower buying experience possible. Here at Flowers Aberdeen we highly value the quality of our flowers, and that’s why all of our flowers come from the beautiful county of Holland. These beautiful flowers from Holland are what really make our fantastic Florists Aberdeen bouquets and arrangements. We check over each and every one of our flowers to make sure that they look their very best, as we at Flowers Aberdeen know that even one bad flower could ruin what would otherwise be a perfect bouquet. We also value the freshness of our flowers as we know that there is nothing worse than having beautiful flowers last for only a very short time because they weren’t sent out as fresh as they could have been. That’s why all the flowers from Holland are sent directly to our Flower Delivery Aberdeen shop. This means that we know that the flowers are as fresh and recently cut as possible. What’s more the flowers sent to our Flowers Aberdeen shop are delivered several times a week so that we always have a constant supply of fresh flowers in our Florists Aberdeen shop just for you. One of the factors that makes us such a great shop is our Flower Delivery Aberdeen delivery service. With our delivery service here you never need to worry about finding the time to deliver flowers to your loved ones. Ordering flowers with Florists Aberdeen only takes a few minutes and when you’re finished you can be sure that your flowers will arrive with your recipient exactly when you want them to. If you have any comments or questions for us at Flower Delivery Aberdeen then feel free to phone us or email as we love hearing from you.